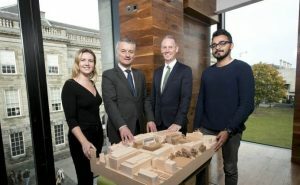 Teaching, research and student accommodation at Trinity College Dublin will be transformed over the next two years with the backing of a €100 million long-term European Investment Bank (EIB) loan for four capital developments across the campus. 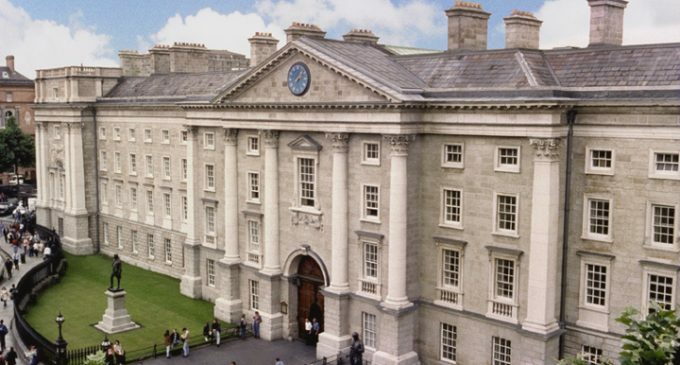 This will include the flagship E3-Engineering, Environment and Emerging Technologies initiative at Trinity. Central to the vision of E3 is the construction of the Learning Foundry, a state-of-the-art 6,086 square metre facility based on the main Trinity campus which will deliver new teaching facilities and an innovative interactive learning space for undergraduate and postgraduate students. 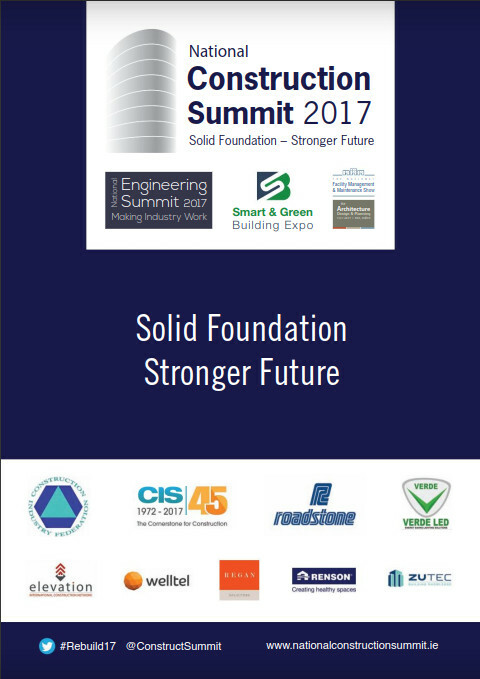 The Schools of Engineering, Computer Science and Statistics, and Natural Sciences will share the new Learning Foundry which will be a launchpad for a new kind of education experience for students with a focus on collaborative and project work. It will have capacity for 1,800 additional places for students of Science, Technology, Engineering and Mathematics (STEM) which constitutes an increase of 50% STEM places over ten years. 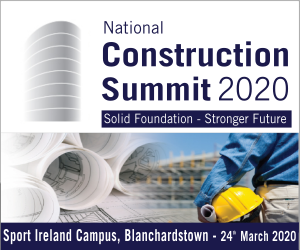 Other capital developments will include the expansion of student accommodation at Trinity Hall in Dartry to house 300 new beds for students, as well as the expansion of the School of Law and the refurbishment of the Arts Block. Dr Patrick Prendergast, Trinity Provost, and EIB VP, Andrew McDowell, pictured with students Pranav Darshan and Ana-Maria Murphy-Teixidor. The 30 year loan from the world’s largest internationally owned public bank will be used by Trinity alongside other sources of financing, including philanthropic donations. The European Investment Bank is the long-term lending institution of the European Union. Its priority is to support projects that make significant contribution to growth and employment in Europe. The EIB support was announced during a visit to Trinity College by Vice President of the European Investment Bank, Andrew McDowell where he was welcomed by Trinity Provost, Dr Patrick Prendergast. Earlier this year, the Naughton family made the single largest private philanthropic donation in the history of the state to the new E3 development by donating €25 million. An additional €15 million is being made available by the Department of Education and Skills. This funding will be provided through the Higher Education Authority (HEA). The proposed student accommodation at Trinity Hall is in addition to the student residence which is currently under construction at the Printing House Square development on Pearse Street which will provide accommodation for 250 students, as well as a student health centre, disability service centre and sports facilities.